Bamberg caught us by surprise. We ended up in Bamberg by chance, really. On the 22nd November, we had an engagement in Nürnberg. A week before our trip, I was tasked to search for a hotel to stay near Nürnberg. We were out of luck because there will be the the famous Nürnberger Christkindlesmarkt and also exhibition event on the same week. 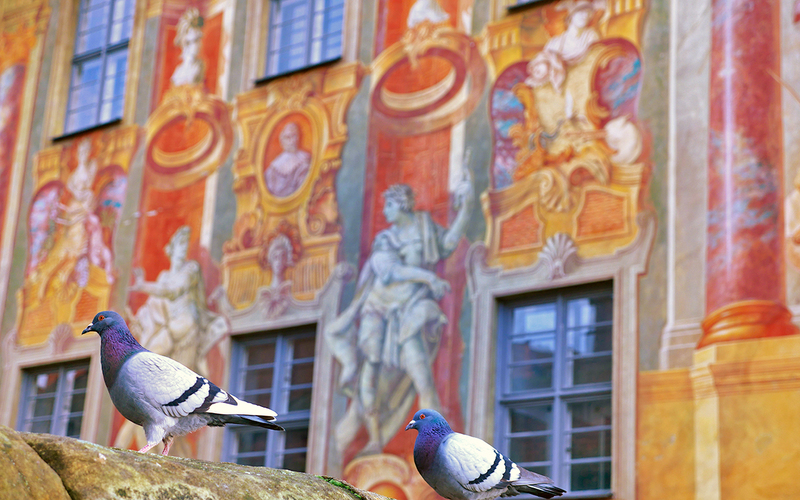 All the affordable hotels in & around Nürnberg were snapped up. 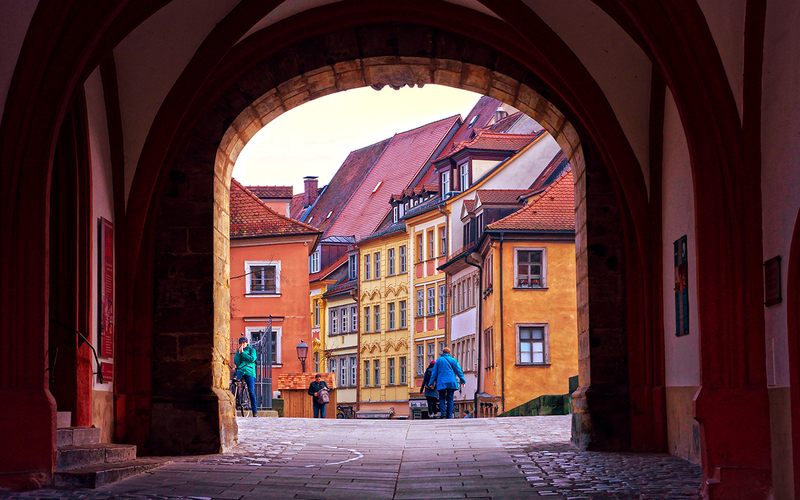 There are a few hotel available in Bamberg, which is about 60 kilometers from Nürnberg. We had no choice and had to stay in Bamberg for a night to rest before we make a long drive back to Switzerland. Days before we leave for Germany, I did a quick search on Bamberg and weirdly, found nothing interesting so I did not plan to do much in Bamberg. It would be just sleep and leave. We started our journey from our home at 4:00 am, drove 6 hours to Nürnberg, had our appointment and reached Bamberg at around 5:00pm. It was a tiring day and the day was almost dark when we arrived. 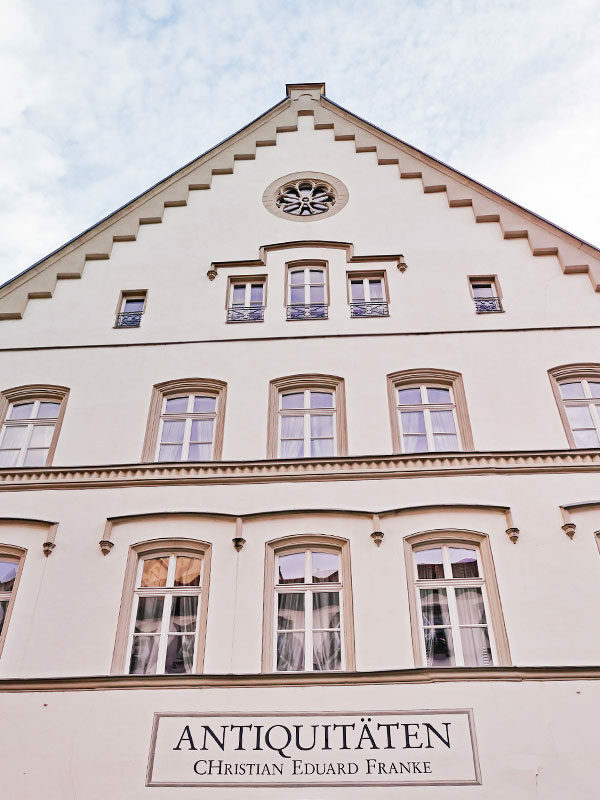 As we were driving in the narrow streets looking for our quaint little Ventura’s Hotel und Gästehaus, we knew this place is special and there is more to offer. Our hotel was better than expected. Located in the central and in an old timber framed building. The hotels are surrounded by many boutiques with beautiful window displays. After checking in the hotel, we went out searching for dinner – Hoffmanns Steak und Fisch, a restaurant with excellent recommendation on Trip Advisor and also by our hotel. We arrived at Hoffmanns Steak und Fisch without a reservation and managed to get a table. The restaurant was empty when we entered. I was skeptical because the restaurant received a good rating but still, it was empty. Herr Hallo pointed out to me that it was still really early for dinner, only 06:00pm. We had a long day and it felt like it was 08:00pm for me. At dinner, Herr Hallo ordered a tuna steak and I ordered a fish platter. Oh boy, these meals were the best fish we had! It was excellent. Excellent quality and very well prepared. As we were slowly finishing our dinner, the guests started to fill the restaurant. Soon after 7:00pm, the restaurant was full. It was on a weekday, mind you? We would really recommend Hoffmanns if you visit Bamberg. After dinner, we only walked around a little bit because we were tired from traveling. We retired to bed fair early and went out for breakfast before the sun rises so we could check out Bamberg before we head back to Switzerland. Note: 22nd – 23rd November 2016. Bamberg exists since early mid-century. She is one of the few city that was left untouched during World War II. Fortunately! As you enter the city, you will see the city at her original glorious form. The monuments and historical sites are well preserved. It felt like entering into a different world. The world in the past, centuries ago. 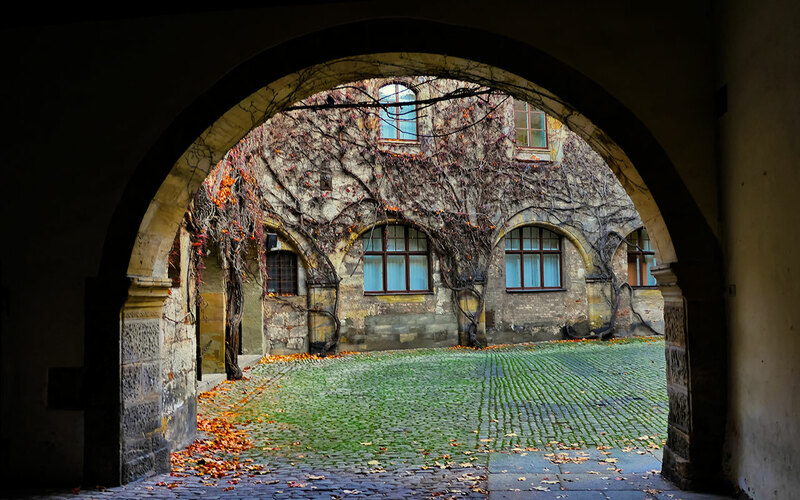 A bridge exists at this point (Altes Rathaus/Old Town Hall) as early as 11th century. The old town hall was built in the mid-14th century and rebuilt by it’s citizen after a fire disaster in 1440. 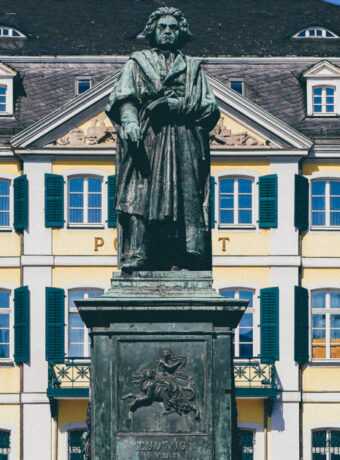 Michael Küchel converted the town hall in 1744 to 1756 into Baroque/Rococo Style. 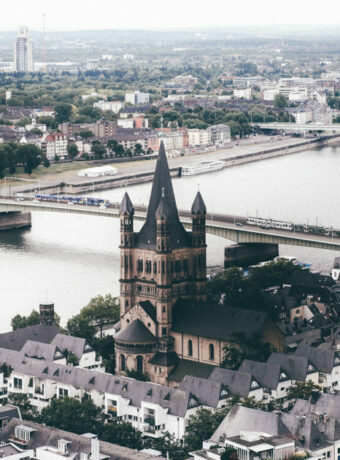 The Altes Rathaus was built on an artificial island because the bishop of Bamberg at that time refused to give the people any land to build a town hall. 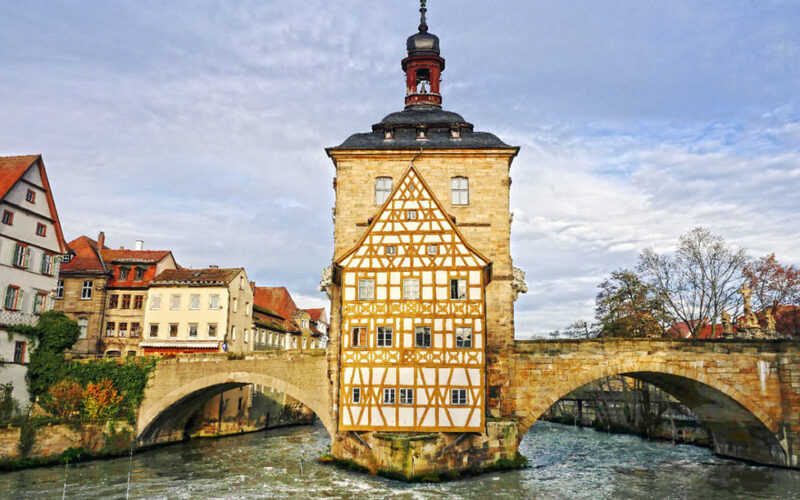 Bamberg became a UNESCO World Heritage Site because of it’s exceptional early medieval and baroque architecture and layout. We stumbled on this castle by chance as well when we were lugging our luggages to our car. We passed this castle and decided to take a peek because it looked interesting from the outside. I think any place with no doors and an arch as an entrance invites curiosity. 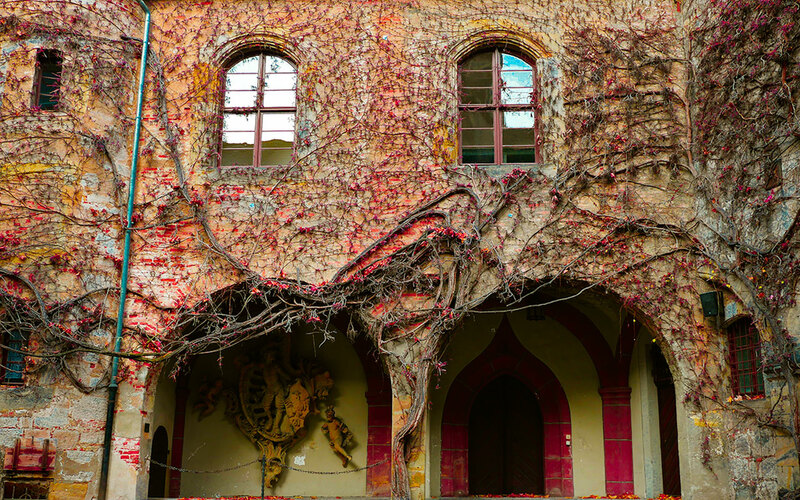 As we entered we the courtyard, we could see grapes growing wild on its wall. It was so beautiful. The images in my mind are a lot prettier than those showcased on the left. History: Schloss Geyerswörth was once the prince bishop’s town castle and it was erected from 1585 – 1587. When we passed this river, Herr Hallo & I discussed and agreed that this particular area looked like Venice. We knew nothing about it at that time. 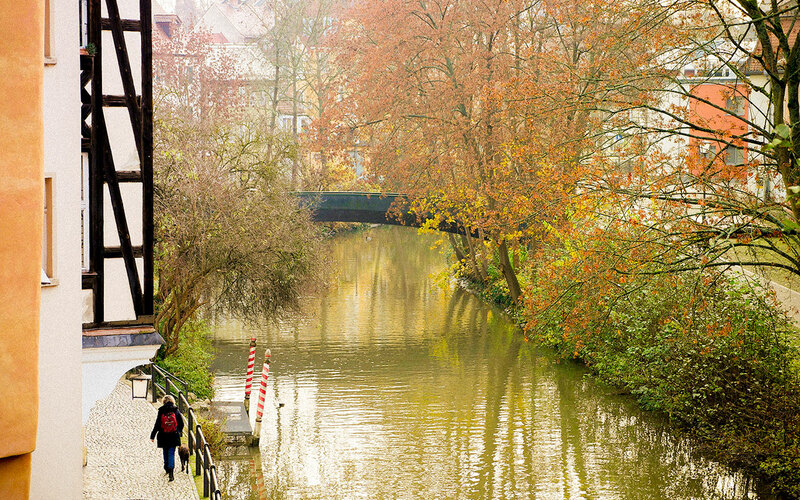 When we got home, we read the tourism brochure of Bamberg and found out this place is indeed called Klein Venedig (Little Venice)! This is an example of many beautiful antique shops you could see around Bamberg. This particular one was outside our hotel. 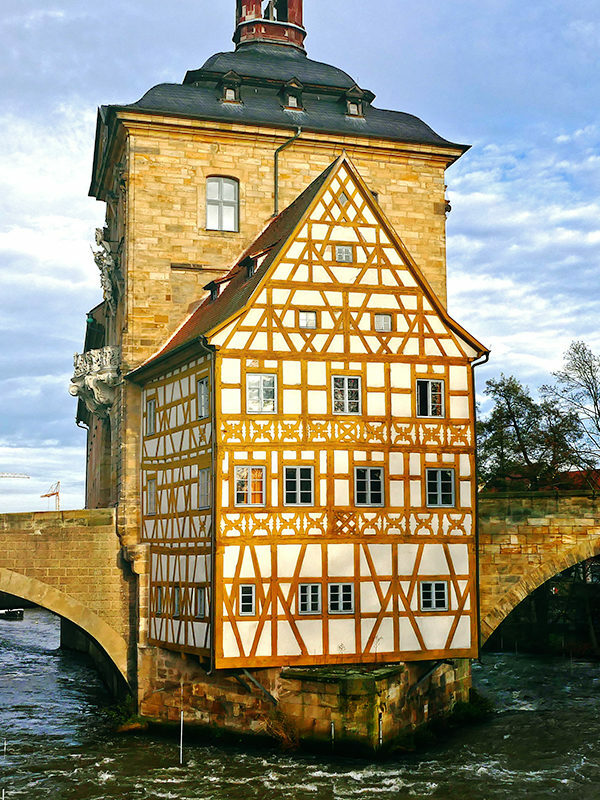 I simple love seeing the structure of Bamberg buildings are so well preserved. There were refurbishment going around the city. The shops are all so beautiful displayed, and the signage are just so “antique” but new. I do not how to explain. My advise to you if you ever visit Bamberg is start your day early. 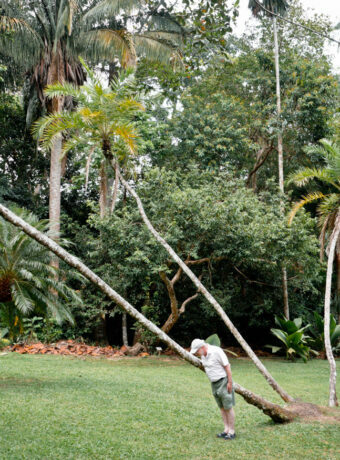 Smell the morning air, and watch the locals go about their activities. Although we only stayed in Bamberg for a few hours, we had the best food and the hours were very well spent. I hope we’ll be visiting Bamberg again. So, this is the end of the report. Till then and take care!